Chilled, refreshing summer in a glass…each sip takes you closer to your favourite holidays to Spain and further from the humdrum of the working week! 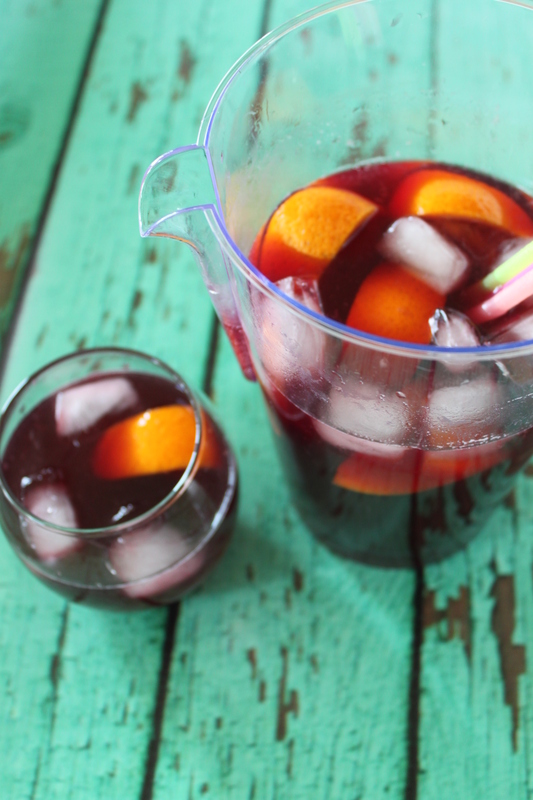 Sangria holds a special place in my heart. It takes me back to wonderful family holidays, staying with my Auntie and Uncle in Spain. Big jugs of it were made up as part of the pre-lunch preparations. Various nibbles would be set out and plastic garden cups assigned to all. Ah, that first, cool, sweet sip. Just pure bliss. Pure, summery, holiday bliss. 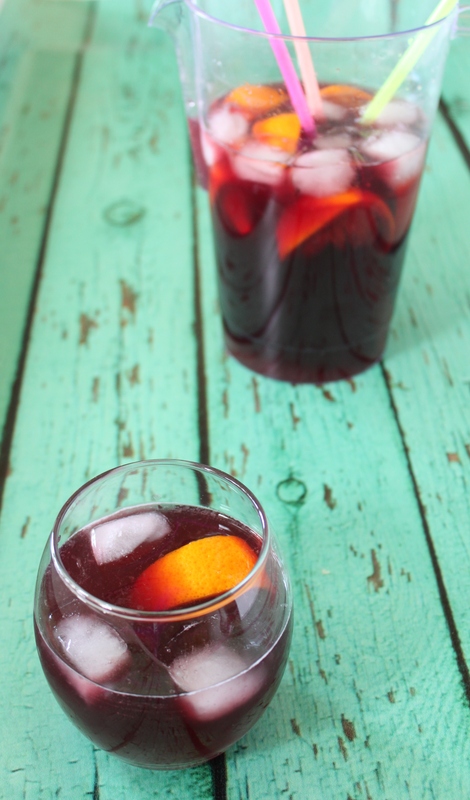 This is the Sangria that I was taught to make on those very holidays – there are no spirits and no chopped fruit (apart from oranges). It’s simple, refreshing and can be sipped gently all afternoon if one so desires, without too much danger of ill-affect! By all means, feel free to add more chopped fruit or even spirits if you’re looking for more ‘buzz’ – but just know, none of that is necessary. 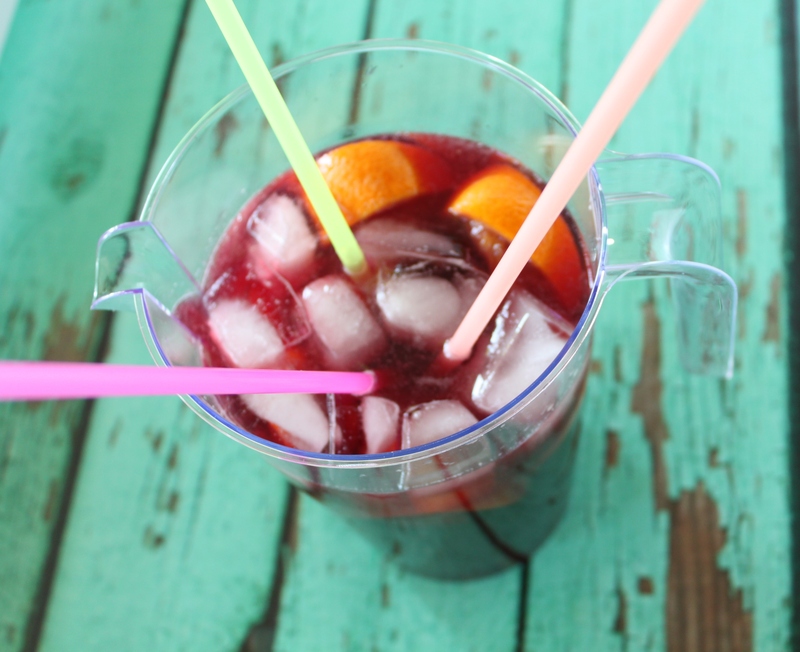 For this recipe, rather than using specific measurements, I’ve used proportional representation – that way, you can make it work for whatever size jug you’re using. I am a 30 something mother of 2 little boys and I live with them and my husband in Nottingham. My passions are my family and friends, my kitchen, my cookery books and all things food and drink! A Winter’s Cocktail – Gin Gin!